You are here: Home / Communities for Artists / Is Vero the New Instagram? In the past, we have seen a few platforms arise with the potential to challenge Instagram’s position as the internet’s primary photo-sharing app, most of them have come to nothing. Yet, last week the artistic community was abuzz with news of latest contender, Vero. This attention was not just confined to talk, as the three-year-old app saw it’s membership increase from the relatively stable 150,000 users to over 3 million in one week (a whopping 1900 percent increase!). Considering these remarkable figures, it makes sense to take a closer look at just what is causing all the excitement about Vero. What has caused the explosive growth? Like all direct competitors, the rise of Vero is of course inextricably linked to the behaviour of Instagram themselves. In this case, they appear to have alienated their users by introducing some very unpopular algorithms. The artistic community is up in arms over the social media giant’s decision to use algorithms to rank their posts in order of popularity rather than chronologically. Though this may not seem like a big deal, it can actually have a significant impact on the way that your work is being exposed online. Part of the algorithm’s effect is that it controls who gets to see your work on their newsfeed (based on who the post is most relevant to). This means that only about 15 percent of your followers will see each new photo – a dramatic challenge to your online exposure. Furthermore, it also means that you as an artist will be limited in the amount of posts you can see from the people that you follow further limiting your access to creative inspiration. So what’s new about Vero? As a fellow image-sharing app, Vero is undeniably akin to Instagram in many ways. You can follow people, post images and edit them with filters in a very similar manner, however, there are a few key changes to note. In direct contrast to Instagram, Vero promises to refrain from using both adverts and algorithms so you can use the platform safe in the knowledge that your data is not being passed onto a third party. In the same vein, Vero boasts more developed privacy settings giving you the option to keep your posts: entirely private, shared with your close friends, friends, acquaintances or followers – effectively allowing you to manage a personal and professional account all in one place. The final notable difference, is the platform’s ability to allow you to share books, TV and music that you have enjoyed (as well as your pictures) so you can develop an online persona that would otherwise have to come from a blog. How can these changes allow you to sell more work? Lack of algorithms. As highlighted above, this decision means that users of the platform are entirely in charge of their own content. By ordering your posts chronologically, you (and everyone else) can see the progress of your own portfolio. It also means that when you post something all your followers will have chance to see it – not just 15%! Choosing your audience. By allowing you to choose who gets to see your work (friends vs followers etc. 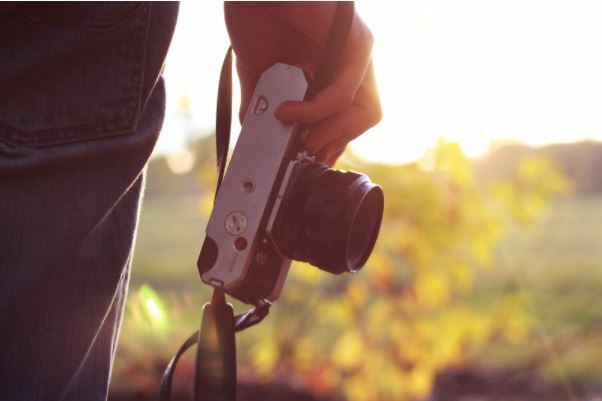 ), the platform gives you the power to cultivate your own exposure as a professional. You can, for example, set your main clients as ‘close friends’ and then send them bespoke posts. Linking to your work. 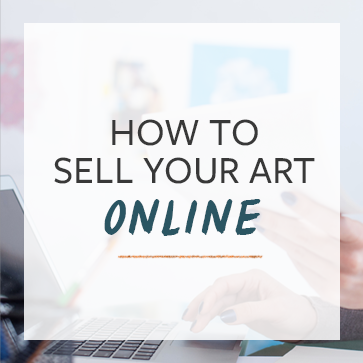 This innovation is absolutely crucial for anyone looking to sell their work online. Unlike Instagram, Vero allows you to link your work to in-app sales, so that if your followers see something they like they can purchase it right away. Careful though as Vero will take a cut of your sales here! In other words, people are excited about Vero because it gives more control over your professional work whilst allowing people to make direct purchases on the platform. Should you change your allegiance from Instagram? Undoubtedly, Vero’s star has risen remarkably quickly and there’s always a danger in such cases that it will dwindle after a short lived blaze. Yet Vero is, in many ways, a totally unique situation. The rapid sign up rate means that 2850000 out of its 3 million or so users are new and therefore likely to be actively exploring the platform. This gives you, as a professional artist, a fantastic opportunity to expose your work to an enormous body of people. Signing up now, in its rapid phase of growth, could just give you that edge that you are looking for. Since the app is currently free to download (they may introduce an annual fee in the future) you might as well strike while the iron is hot and give it a go – there certainly seems to be little to lose! Editorial Note: TAA team here! There is currently some controversy over how difficult it is to delete one’s Vero account once you’ve signed up. Just a quick reminder: before you jump on to any new social network and upload images of your copyrighted work or share sensitive personal information, please make sure to do your research in advance, and be sure to read the Terms and Conditions before you sign up. Flora Dallas is a content writer for Fat Lama the world’s fastest growing peer-to-peer rental marketplace. The platform, available in the US and UK, allows people to rent almost anything easily and cheaply from people nearby. It’s mission is to enable people to share and monetize their unused possessions, increasing the efficiency of both the consumer and the planet’s resources.